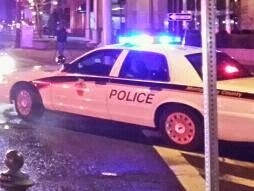 A 19-year-old Rockville resident died from injuries he sustained when his bicycle was struck by a truck in Aspen Hill last night. Frank Lawrence Towers, of the 13100 block of Beaver Terrace in Rockville, was crossing westbound Veirs Mill Road at Turkey Branch Parkway around 7:25 PM Monday night when he was struck by a silver 2000 Toyota 4Runner. Towers was transported to a local hospital, but later died from his injuries. Juan Francisco Orellana, 39, of the 12100 block of nearby Selfridge Road in Silver Spring, was the driver of the 4Runner. The cause of the accident is now under investigation. Investigators are asking anyone who witnessed this fatal collision to contact the Collision Reconstruction Unit at 240-773- 6620. Callers may remain anonymous.